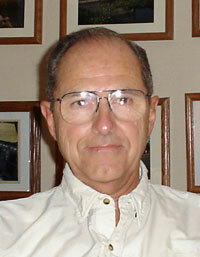 Ron Spillers was born in Minneapolis and grew up in Des Moines, Iowa. He studied economics and philosophy at Iowa State and Drake Universities, did graduate work in economics at San Diego State University, and received his Juris Doctor from the New York University School of Law. 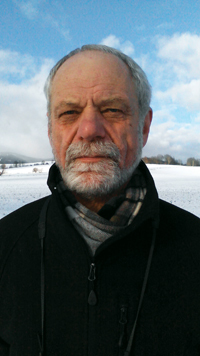 Ron currently is a Flaneur Apprentice, and is a former Fortune 500 officer, corporate attorney, and professor of international management strategies at several universities. 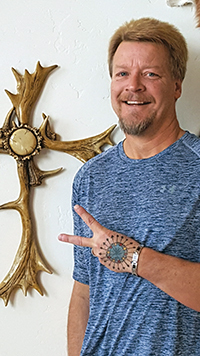 He lives in the foothills of New River, Arizona, with his high school sweetheart. The Delving Dictionary strikes again, with the ABCs of Reality! Volume II will challenge those who take reality for granted, suffer through it each day, try to avoid it, or dress it up to serve their own desires. But what exactly is reality-and when we depart this astounding place, what, if anything, awaits us? 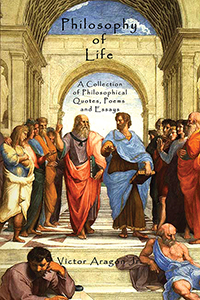 By examining some of the greatest minds in history-intellectuals and specialists in the disciplines of philosophy, physics, mathematics, sociology, religion, and the humanities-and objectively considering a wide range of opinions and tools, The Delving Dictionary reveals important clues about what constitutes the phenomenon of reality. Jovial, humorous, and down to earth, the book also explores the benefits of uniting the efforts of science and theology in their differing yet compatible quests for how and why the universe came to be. So delve right in and prepare to be surprised-even dazzled-by the conclusion’s simple grace. Andrew J. Rodriguez is also the author of Santa Rita Stories, Coming of Age in a Cuban Fishing Town; Helen’s Treasure, Odyssey of a Ladies’ Man; and The Incredible Adventures of Enrique Diaz, a finalist for both the Book of the Year Award sponsored by Foreword Magazine and the Best Books Award sponsored by USA Book News. His second book, Adios, Havana: A Memoir, won the prestigious Colorado Independent Publishers Association EVVY Award in 2005 as well as the Allbooks Reviews Editor’s Choice Award. Rodriguez and his wife live in Colorado and Florida. 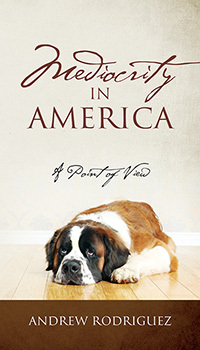 A legacy to future generations, Mediocrity in America reminds readers about the fragility of freedom. “I’ve been granted the dispensation to communicate with selected humans at will. And so, I shall draw upon my talent to warn my two loyal friends against the venomous scourge of mediocrity-the dark Trojan horse breaching our country’s soul…” In Mediocrity in America, Titan the St. Bernard presents a wealth of information regarding the effects of widespread mediocrity-offering much to consider if America is to remain one of the greatest nations on Earth. Titan weighs in on envy (as well as the other deadly sins), art and culture, and vulgarity, and offers his canine point of view on what he considers the scourge of our nation: Indifferent beings strolling through the walks of life without teaching and without learning. “The catastrophe occurs when boring citizens such as these grow to immeasurable numbers and become the majority-perfect timing for a dogmatic, narrow-minded, inflexible group to fill the vacuum and establish an encrusted, paralyzed society that will disintegrate as mediocrity becomes its bedrock.” This unique and thoughtful narrative is as spot-on as it is entertaining. And Titan-a true doggy guru-is a benevolent narrator, making a compelling case against the dangers of mediocrity in America. 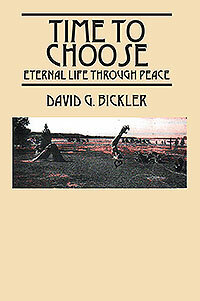 Author David G. Bickler is a descendant of a lineage of believers who seek God, peace, and love. David’s grandfather is mentioned in his “Time To Choose” piece, from his father’s side that built the shrine mentioned in our book. His twin brother, who also had open heart surgery, also wrote his interpretation of creation called God’s Love Machine, written by Joseph Buechler. Yes, most of the Buechlers changed the spelling to Bickler at some point. David is pretty much a simple man with careers spent in carpentry and many earthly opportunities. My older brother Robert has also written a book about love-God’s love-titled “Angel And Adam.” This has not been published. The bloodline in our tree is built from our desire to share our God-given visions of love of the God of peace. David has mastered the art of giving without needing redemption. He believes his personal biography would include his book with all books of peace-with all sticky notes or emails or Facebook hash-tags-they would all be bound together in a perpetual traveling book of peace. A book that has traveled borders, it contains biographies of us all. Then Mr. Bickler says you can now ask for my biography. Most of my life’s biography is written within our pages of peace. Peace I Am. A story about a simple man who believes he is a Universal Soldier seeking Eternal Life through peace in the biological form-maybe God’s form. All revenue created from this book of peace will be reinvested in this book of our peace. If you can’t afford a copy I will do my best to get you one. Thank You. 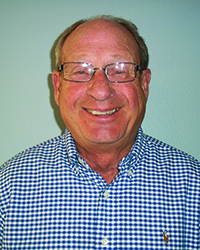 William (Bill) Nitardy has a degree in Chemical Engineering from the University of Minnesota and was employed at 3M Company. 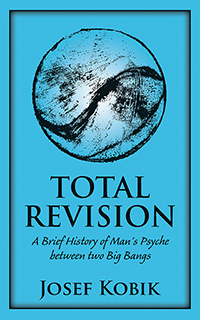 His need to understand probability science was key to developing the profound concepts for this book. He has a passion for truth and justice. He lives in Florida with his wife Diane. 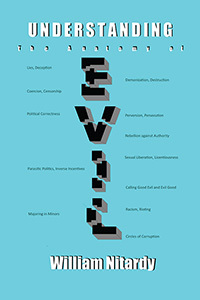 The book examines the anatomy of evil in the realm of ideological and philosophical beliefs. This includes politics, culture, religion, science and law. It attempts to answer many questions by giving the reader a better understanding of all aspects of evil including stealth evils that are not even on our radar. Although the author uses many scriptural verses to support the book’s thesis, it does not simply rely on scripture, but relies on probability science and rationale to draw conclusions while showing consistency with and support of scripture. Although the author is convinced that the bible is the infallible Word of God and believes in biblical Christianity, he is very critical of denominational Christianity and other religions including pseudo-science and other religions that masquerade as secular entities. He believes that the rapid and virtually complete secularization of our society has only been possible because of the many false foundations that have been established and accepted as fact when they are completely false and destructive. Those false foundations justify and support many evils that have been and are being promoted in America. 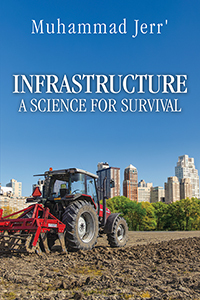 The book discusses the situation in which America finds itself where we are being destroyed and are near the point of no return. The book addresses the current political situation and the upcoming presidential election. The final chapter of the book is to encourage skeptics to believe the truth of the bible through rational evidence. Although this book should connect well with Christians, it is hoped that the rational approach taken would attract atheists, agnostics, and skeptics as well as pastors and religious leaders. Pastors and religious leaders are encouraged to teach the full council of God by relating scriptural principles to our evil culture and even go so far as to attack the false foundations that are making the gospel irrelevant or addressing the contaminated soil that prevents the gospel seeds from germinating. On the day I was born my appreciation and passion for spoken and written words was also born. Far back in early childhood, as far back as I can consciously recollect I began to express my emotions, ideas, and thoughts with ink on paper through poetry and philosophies to convey a deeper meaning of life. Then ever since, up to the present time, I have never ceased to continue to learn and write, in my own words, about anything and about the complexities and simplicities of life that many of us experience or witness at one time or another. This book I dedicate to all of those who have walked before us, to those who walk amongst us now, and to the many who after our time are to walk this earth. In this book through a variety sort of some of my philosophical essays, poems and quotes (a small fragment from a large collection), I have written and continue to write, I share with you and with everyone my interpretation of my observations and experiences of life good and bad, some of my own and others of the lives of others whom I have known and not known; in hopes that my words can shed some light to you and many others and help you find some comfort.